Country Music Freaks Tour Tickets can be yours from Kykx 1057! 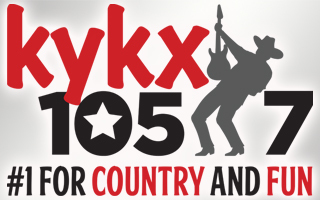 KYKX 1057 has your concert connection for Saturday night’s awesome show at Centurylink in Bossier City, Louisiana featuring Carly Pearce, Brett Eldredge, Trace Adkins and Blake Shelton! Listen afternoon 3-7 with Shotgun Jackson for your chance to win tickets from your East Texas station known for Country and Fun…Kicks 1057, KYKX!! John Berry Hits The Charts After 22 Years Party Crashing Trend?? Pilot of Southwest flight with blown engine was female Navy fighter Kykx 1057’s first Disc Jockey Remembered Kykx 1057 Campaign to Cure 1 Million Kids!